Last year we did a scrap exchange. 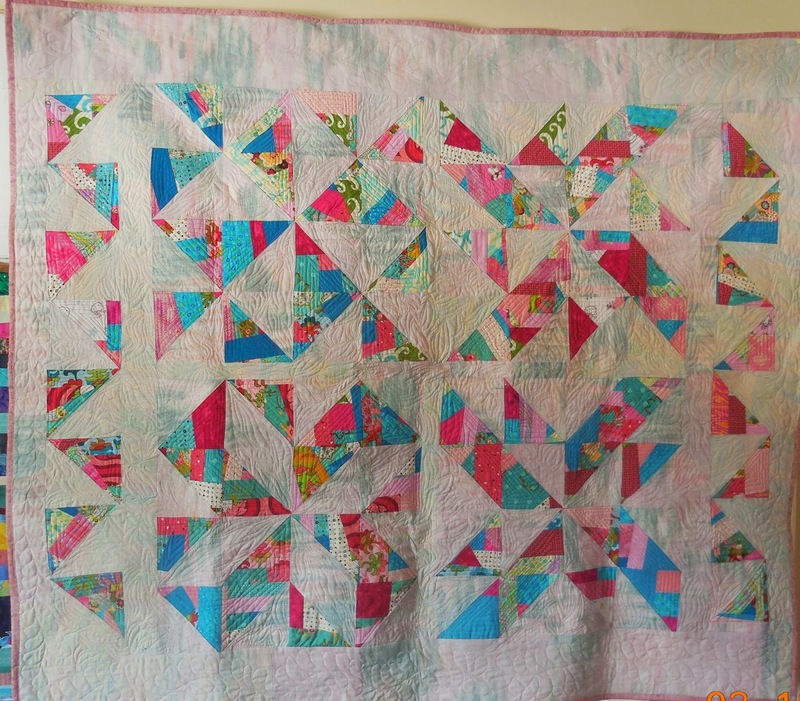 I finally finished the quilt using scraps from the box i received and some from my stash. I have a fascination with half-square-triangles. This is the first I have made and I think there is a lot of room for improvement. I don't think there is enough contrast between the made fabric and the background. More to come, because the possibilities are endless. Lack of contrast? If you had not mentioned it, I would hve assumed the watercolor effect (background and pieced triangles moving into and out of each other) was just what you intended. Yes, the possibilities are endless. I too love the watercolor effect! very pretty effect . love it! Plenty of contrast! it flickers light light dancing on water!